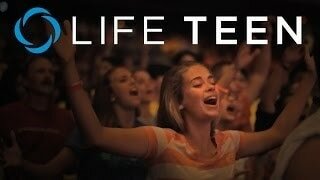 Life Teen meets on Sundays, 6-8pm, in Jaeger Hall. All high school students are invited! Come for dinner, games, large and small group discussions and FUN! Bring a friend! Join Life Teen and Edge at Summit on Sunday, April 28, 1:30-4pm (PLEASE NOTE TIME CHANGE). This event is open to all middle and high school students. The cost is $10 and includes pizza, bowling and laser tag. If you plan to attend, contact Cristina Priddy (cristina.priddy@petertherock.org) by noon on April 28. For more information, contact Cristina Priddy at cristina.priddy@petertherock.org. Thank you for your interest in providing dinner to our Life Teen and Core Team members! The meals do not have to be elaborate -- pasta, soup, bread, salad, etc., are big hits with the teens. Dinnerware and drinks are provided. Cristina Priddy will confirm the number of meals that are needed (typically between 30-40). Meetings are held in the gym and the kitchen is available, if needed. We welcome you to stay and eat with us and share your ministry with the students and our Core Team members. Are You Interested in Joining Our Core Team? For more information, contact Cristina Priddy, Life Teen Youth Ministry Leader.